7 Kids and Us: Earzings- A New Concept in Pierce Free Earrings! 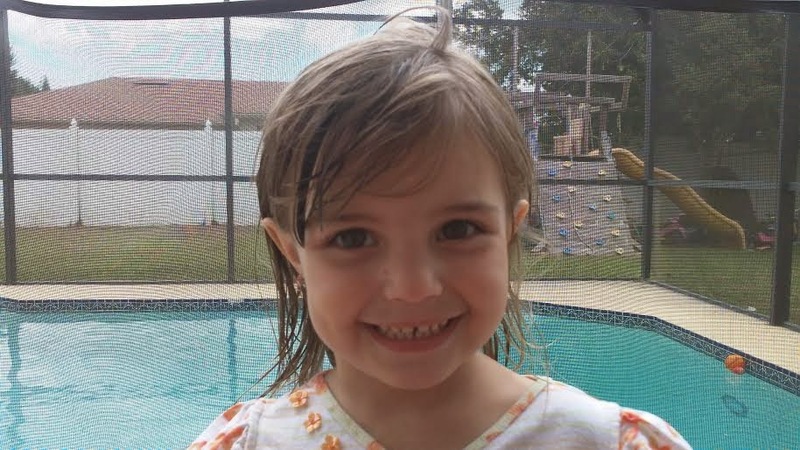 Recently, Elizabeth has been wanting to know what it's like to wear earrings. 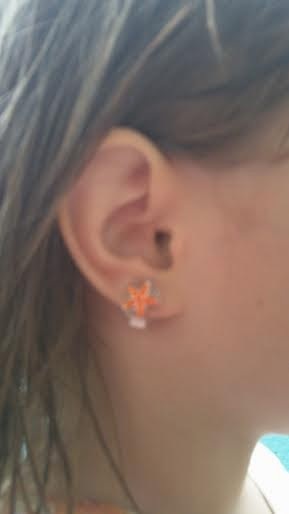 She sees her mom wear them and knows mommy feels "pretty" with them on, and as much as she wants to experience it too, she is NOT getting her ears pierced at almost 5 years old. EarZings are not your grandmothers painful clip-on earrings. They are not magnets either. Instead, they use a patented coil design to gently hug the ear, allowing for unprecedented comfort. The coil design also keeps them secure all day long. No longer do girls need to endure the pain and infections caused from ear piercing. It often starts around age 7. 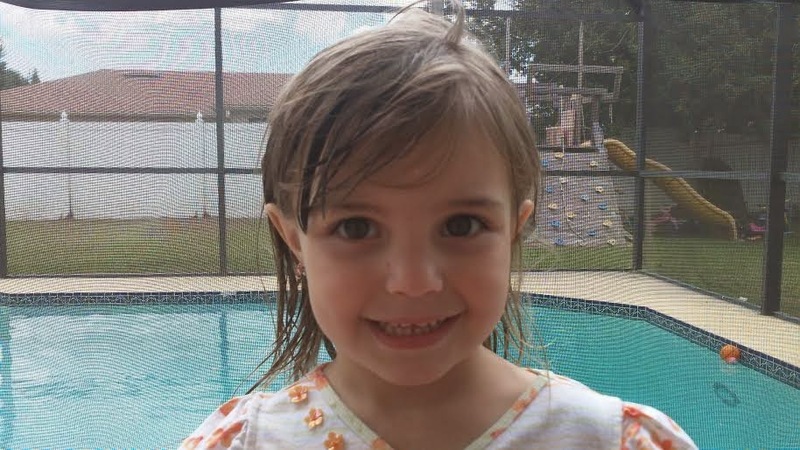 Young girls start asking to have their ears pierced. While some girls get their wish, many end up too scared to go through with it. Still others have mothers that want their daughters to wait until they are a specific age for this ‘right of passage’. The latter is where Laura Pfaff, EarZings Inventor and Designer, found herself. However, Laura’s oldest daughter did not embrace having to wait and continued to beg and plead for earrings. After numerous failed purchases of clip-ons (very painful) and magnet earrings (even more painful), Laura had an idea for a pierce-free earring design to appease her determined child. 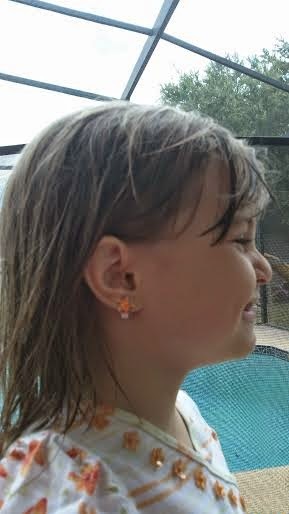 With a little ingenuity, Laura created the original EarZings prototype and placed them on her delighted daughter’s ears. Four hours later, they were so comfortable that her daughter had completely forgotten she was wearing them. They also stayed remarkably secure on the ear. That is when it hit Laura. What started as a way to pacify a persistent 7 year old turned into the invention of a revolutionary new product that appeals to millions of girls, as well as grown women too. It was at that moment that EarZings was born… and the process of perfecting the original design began. Elizabeth was REALLY excited to try the Earzings! I was worried they would hurt her ears, but after watching the video (below) and learning how they work, I was more than a little excited to try them out! Earzings come in a whole variety of styles, and they are priced at $14.95 a pair. Elizabeth saw these Hootie Earzings and is super excited about trying them next!